This album marks a starting point, I mean the thriving collaboration of US writer/lyricist George Andrade and the band's driving forces Ulf Reinhardt as well as allrounder Marek Arnold. 'THE?LIE' hereby is the second part of a trilogy exactly, which saw the lift-off in 2011 with the critically acclaimed production 'The?Book'. Andrade already had substantial impact on a couple of albums in the past, as there is 'AIRS - A Rock Opera', together with German guitarist Steve Brockmann, or 'Back From Being Gone', released in 2011 with US band The Anabasis. There are some more, but those are familiar to me at least. According to such a reputation, and alongside with some first-hand relations, it does not really sound uncommon anymore that they eventually came together at one time or another. 'Samuel ... come to your Father!' - content-wise, lyrically seen, the album is dealing with religious extremism. Tells the story of a family around that protagonist, who are caught up in rather fanatic actions. In order to transport the lyrics in a confident way some exceptional vocalists are present. First and foremost Lars Köhler (Samuel), Jana Pöche (Mother) and the masterful Peter Jones of Red Bazar and Tiger Moth Tales fame, representing Samuel's father. Don't blame me for a restricted description, just don't want to reveal too much. Anyway - 'what makes you think that you've got a choice?' - the story runs while Father empathically wished to see him following his footsteps. Albeit Samuel is falling in love with Evangeline (The Lover), including pregnancy finally. He will be accused for betraying god then ... quarrel, tragic, the dramaturgy takes its course. It must be a very ambitious experience. Is it a benefit to work on that with a singer who is sightless? Well, can't slip into their shoes, can't really imagine what it needs to implement cinematic circumstances for the attentive listener. To express particular emotions and mood according to the flow. Besides the more narrative portions to precisely join notes and words to something enjoyable in that manner. I would say, with good reason, the special symbiosis of story and music is dedicated to the English-driven natives amongst us, most of all. You might be able to fully capture this. Furthermore, technically seen, the SEVEN STEPS TO THE GREEN DOOR musicians are offering an epic achievement which shows emotive and virtuoso facility overall, blends art rock and prog metal in a remarkable manner, including violin and diverse wind instruments. Exemplary, the haunting A Dream That Strayed - I comes with sensitive guitar, great vocals and excellently appointed piano lines. Goosebumps! 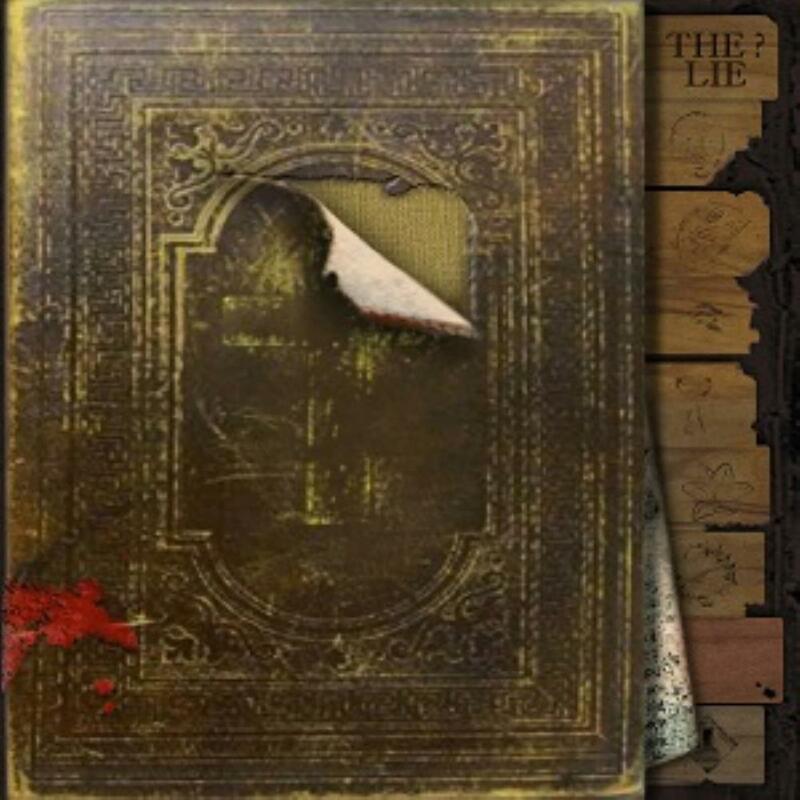 Overall 'THE?LIE' represents a profound workout with about 50 minutes playing time. 4.5 PA stars so far. Preferably should be taken in one go. Now it's your turn.